For a group show with Elysia Contreras and Zach Springer in Kansas City, MO at La Esquina through Urban Culture Project. The show, titled "It's All Yours" celebrated and explored the spectrum of creative interests among neighbors, business owners, and artists that lived around La Esquina gallery. For my portion I worked with Boulevard Brewing, located less than two blocks away. I asked Boulevard Brewing Company to produce a new beer that would serve as a portrait of the neighborhood. Matt Ruzich, one of the brewers, created an overall beer portrait of the neighborhood based on his experiences living there. Additionally, Pancho Luna, a volunteer at the brewery and an avid homebrewer, created two beer-portraits of two specific individuals that lived and served in the neighborhood. The beers were served during a special event. 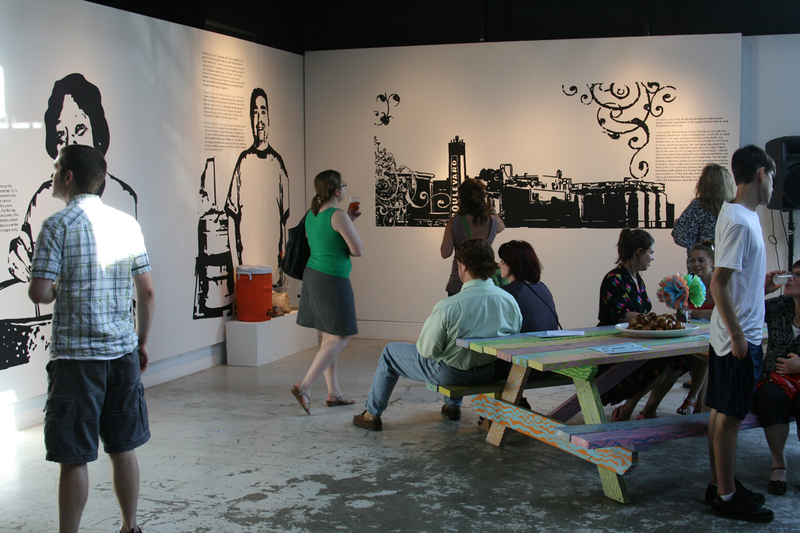 Visitors chose one of the portraits from the gallery wall, were served the correlating beer, and then drank the beer while reading about the pictured individual.